Basel's old town seen from the Rhine River, Switzerland. It’s a fine day in Basel. The twin towers of the cathedral scratch a perfectly blue sky, and the Rhine winks and gurgles. A flamboyant town hall is cheerful in orange, the cathedral roof a zigzag of green and yellow, enough to make anyone smile. The cathedral’s medieval façade pops with statues of saints in ridiculous hats. Over the porch, little figures are being flung from a wheel of fortune into the fires of hell. I don’t find much else that’s sombre in Basel. Morning markets tumble with plump tomatoes, joggers jiggle along riverside promenades, barges toot as they float off Germany. 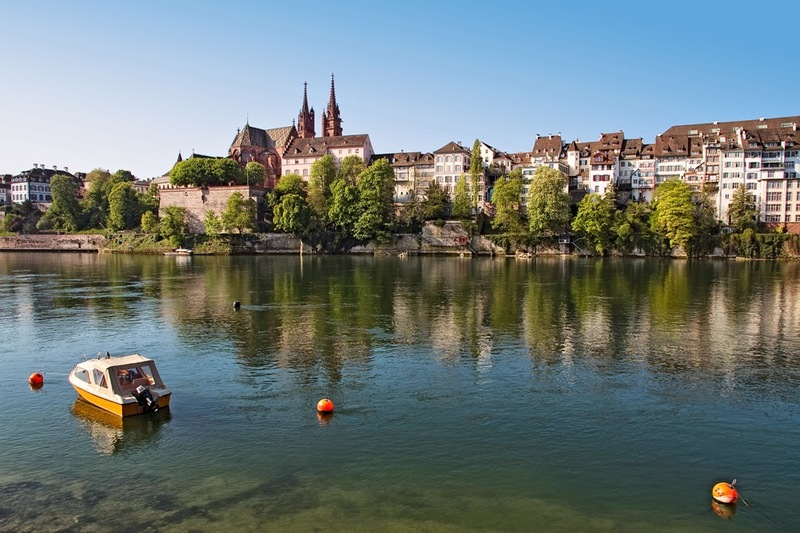 Basel doesn’t have the glamorous lakeside setting of other Swiss cities, but its river made it rich on trade, and still provides an agreeable bustle. 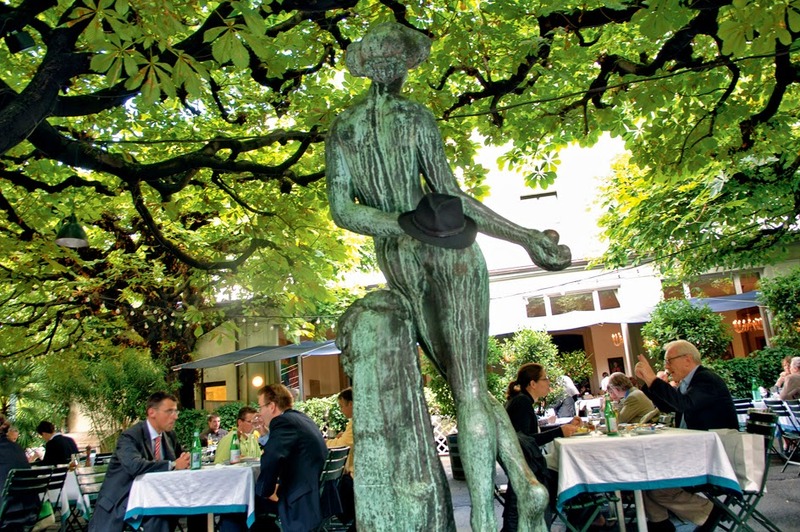 Leafy lunch in the old town in Basel, Switzerland. I like Switzerland’s third-largest city. It soaks up the influences of France and Germany, which start just out in the suburbs, and is sophisticated and interesting. Now a centre for the pharmaceutical industry, it has Roman foundations and was one of Europe’s great humanist cities in the eighteenth century. Full of lively cafés and fine museums, it’s the sort of town you think you’ll see in an hour at the beginning or end of a Rhine River cruise. It always ends up seducing me into a longer stay. Some people claim Basel is buttoned up. True, the old town has an elegant severity, apart from the mad riot of its town hall. Reformers scraped away most of the decoration inside the cathedral, leaving only the tomb of Erasmus behind. Its trams always run on time, sneaking up silently behind me and startling me with clanging bells. 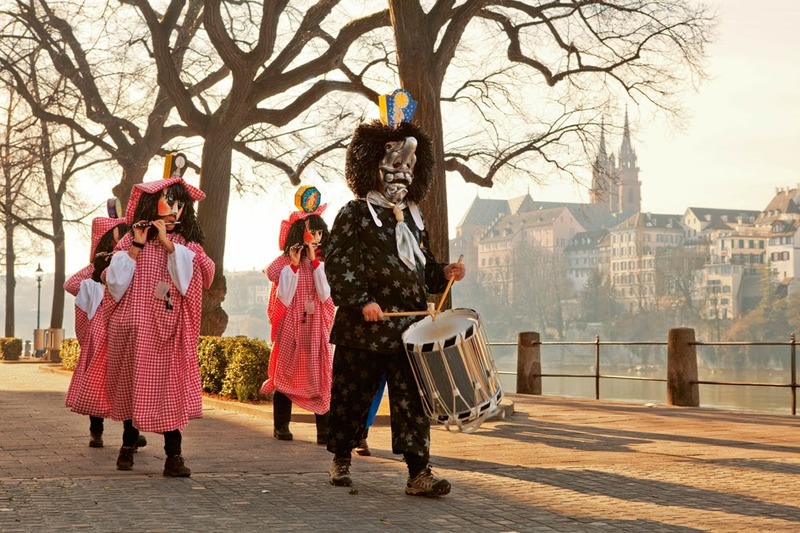 Celebrating Fasnacht in Basel, Switzerland. But Baslers seem rather fun to me. If you come in December, you’ll find Switzerland’s largest Christmas market, fragrant with mulled wine, where you can nibble on spiced biscuits and admire twinkling trees in old town streets. And a few years ago, when I was here for the start of Lent, I found amusement during Fasnacht, a three-day carnival of crazy costumed partyers singing and playing oompah music into the wee hours. This time around, I find fun too. At the quirky Museum Jean Tinguely I love the amusing concoctions of Switzerland’s greatest twentieth-century sculptor: mechanised pieces assembled from scrap metal that clang and turn and wobble. At the Café Atlantis, I’m serenaded by the strange sounds of avant-garde jazz. And in the evening, bars spill out onto cobblestones, sending a murmur of conversation down medieval streets. In the afternoon, I wander over to Kleinbasel (Little Basel), a Swiss enclave on the otherwise German side of the river. It has funky cafés and ethnic eateries and a youthful vibe, as well as great views across the Rhine to the old town. 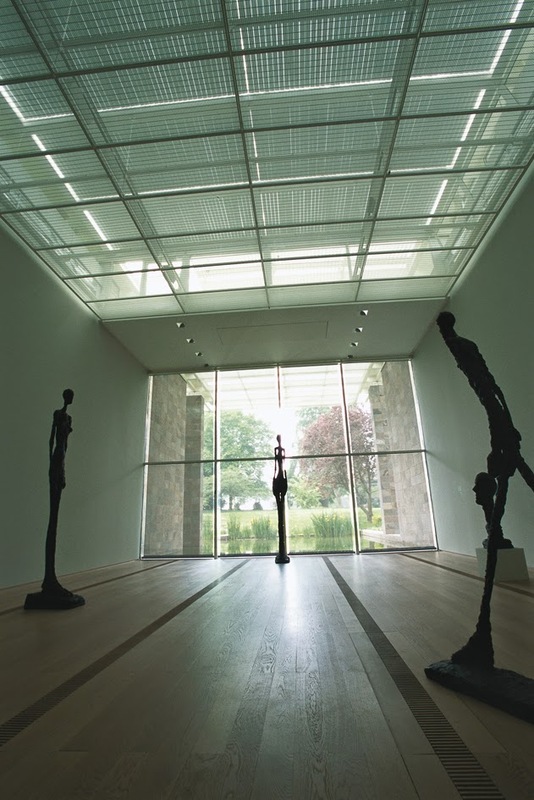 I’m really here, though, for the Foundation Beyeler, a superb private collection of modern art from the likes of Warhol, Pollock, Picasso and Rothko, as well as Swiss greats Klee and Giacometti. To me the building is just as wonderful, an avant-garde ship sailing across a pond-scattered garden. If you’ve been to Basel and feel you have something to add, please do so. Our readers appreciate your tips and memories.